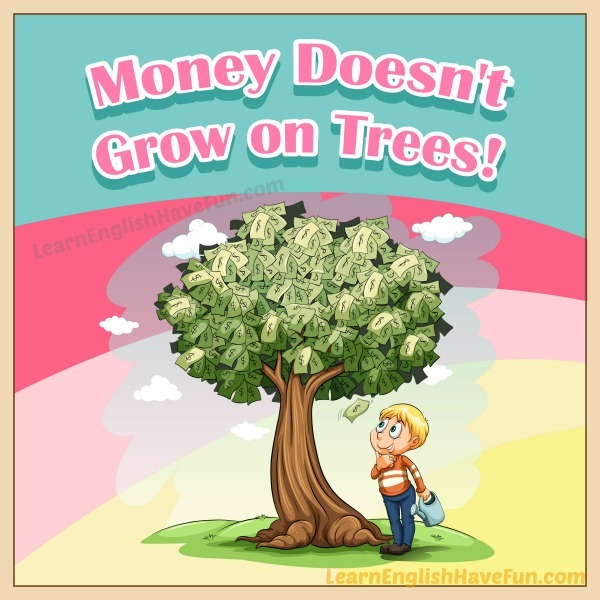 Can you guess the meaning of the idiom 'money doesn't grow on trees' by looking at the picture? Unfortunately, you can't pick money off trees like fruit. You have to work to earn it or be fortunate to receive it as a gift. Either way, you have to spend it carefully because it is limited in quantity. Parents often use this expression with young children who do not understand the concept of money or its value. Too bad money doesn't grow on trees—or I would hire a personal trainer and have healthy meals delivered to my home so I could lose weight. My parents made us buy everything with our allowance so we learned quickly that money doesn't grow on trees. When I told my five-year-old that I couldn't buy her a toy because "money doesn't grow on trees," she told me to just put it on my credit card instead! I really do wish I could buy you those $1,250 Jimmy Choo boots for you my dear but unfortunately, money doesn't grow on trees. I'm grateful that my parents helped me learn that money doesn't grow on trees when I was a child because it helped me be financially responsible as an adult. I'd like to invite you to sign-up for my free newsletter to learn about new updates and lessons as I add them to my website. Do you have this expression in your language as well? If so, tell us about it. When is the last time you heard someone say this phrase? 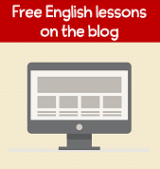 Write an example sentence in the comments below and I will be happy to give you feedback.